Jawitz Properties has extended its national footprint with the opening of Jawitz Properties Pietermaritzburg in KwaZulu-Natal. Owned and operated by Brett Mantel and located in Howick Road, the office will service the areas of Pietermaritzburg and Hilton with the professional expertise of specialised area agents. 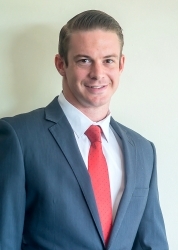 Born and bred in Pietermaritzburg, Mantel has been working in real estate for the past seven years and his experience ranges from residential sales and rentals, through to commercial property management. "Pietermaritzburg has always been home to me, so I am confident that with my personal knowledge of the area in conjunction with my experience in local property, I will offer our clients a level of service and expertise they're not accustomed to. "I partnered with Jawitz Properties as my own personal values aligned to that of the organisation and I look forward to introducing our residents to a Brand that knows its market, provides excellent service and is real about real estate. We assure our clients of a superb service throughout their property journey, whether buying, selling or leasing," says Mantel. Jawitz Properties Pietermaritzburg will provide property services to clients from Bellevue and Cleland in the South, through to Wembley and Montrose in the North, as well as all the Hilton favourites such as Hilton Gardens, Leonard, Mount Michael and World's View. The Pietermaritzburg housing market is resilient, with a high number of property sales recorded annually and the rental market in the area remains active. The area is known for the number of highly-rated schools and tertiary institutions, and the area offers something to everyone, from young families looking for long-term homes to retirees who are downscaling to live in the Midlands - and we are able to find a property match for whatever your needs. The property market is in general a buyers' market at present, whereby buyers are in a position to find value when buying; and the area also offers investors a great return in this market. Mantel also believes strongly in giving back and has supported the local SPCA for some time. He and his team hope to provide even more support to this worthy cause and many others as his branch grows. "We are extremely excited to expand our Jawitz Properties office network and footprint in the KwaZulu-Natal marketplace. Brett is a dynamic and driven young man with values strongly aligned to those of our organisation and we welcome him to the team. We are actively focusing on the growth of our Brand through partnerships with #realpartners in other regions of SA as well," says Russell Berkman, Franchise Director at Jawitz Properties. Jawitz Properties, together with Brett and his team, look forward to offering #realvalue and #realservice in Pietermaritzburg and the surrounding areas. Jawitz Properties is a well-established and highly regarded brand built up since 1969. It offers franchisees outstanding training and on-going business and marketing support. In addition, it offers state-of-the art technology to support the sales process and management functions. Jawitz prides itself on being a 'hands-on' company and sees itself as an 'investment manager' whose purpose it is to do its utmost to support you in growing your Jawitz Properties franchise.